Sometimes, due to financial considerations or out of fear of surgery, people resort to non-surgical hair restoration or hair replacement solutions. These can include the taking of medication designed to promote and/or curb the effects of hair loss, or resorting to the placement of hair additions, which can be made with either natural or synthetic hair. In this article, we’re going to focus on non-surgical hair restoration, specifically on hair additions as a method for non-surgical hair replacement. In doing so, we’re going to address how these work and who can benefit from them. When non-surgical hair restoration techniques were in their early phases of development, they were often the subject of ridicule and mockery. This put patients in a difficult position. Ill-fitting hair plugs and toupees often produced unnatural looking results either because they were made from synthetic materials or simply because they were placed in a way that conflicted with hair’s natural growth pattern. Today, just like hair restoration surgery, non-surgical hair replacement techniques have become more sophisticated, and natural-looking results can be achieved even without surgery. Hair additions are suitable for masking hair loss issues caused by male pattern baldness, different forms of alopecia aerata as well as in case of thinning hair or other hair loss issues. Non-surgical hair replacements can be made from 100% natural hair or a combination of synthetic, fibre and natural hair. But how are these placed on the patient’s scalp, and more importantly, how are they kept in place? There are various techniques to keep partial non-surgical hair replacements in place, all of which use either the patient’s existing hair or the patient’s scalp as anchor sites. Double-sided surgical tapes and water-resistant liquids are the most commonly used methods to keep these hair additions in place. Once they are placed, the patient can resume all normal activities including swimming, diving, going to the gym, etc. Hair replacements can be washed with shampoo together with normal hair, patients can use conditioners and towel dry their hair. 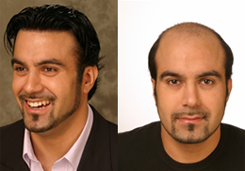 Who can benefit from non-surgical hair replacement? 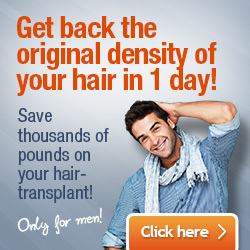 Both women and men can benefit from hair replacement irrespective of ethnic background. 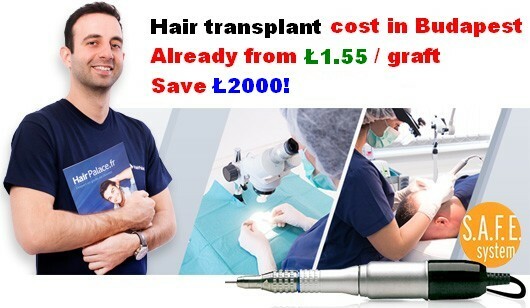 Those struggling with alopecia aerata would better benefit from a full hair replacement rather than a partial addition (though this is not a problem with bionic hair prosthesis). Likewise, patients who are likely to lose all their hair because of an illness or as a result of chemotherapy would also draw more benefits from a full non-surgical hair replacement rather than a partial one. Patients whose attempts to regain their hair through medical treatment yielded no results as well as patients who don’t want or can’t afford surgical hair replacement can resort to non-surgical hair replacement instead. With today’s technology, natural-looking results are achievable. Much depends on how the hair additions are placed and how the hairline is designed. A trained hair replacement specialist can easily achieve natural-looking results and advise patients regarding other suitable alternatives for their hair loss problems. Patients who wish to avoid surgery or only want to resort to surgery as a solution of last result, and patients whose hair loss problems cannot be stopped with medication can opt for non-surgical hair replacement.